Sore Throat in Flu Season? You Need Medical Attention! Ahem Ahem! Are you used to do that? I know it is the most common problem with all during this time of the year, but a dry or a scratchy throats are just a viral infection which can be treated easily. How To Treat A Sore Throat In Simple Ways? Take a glass of warm salted water, and gargle with it for three times a day. Try to take a hot shower with a face rag and, then steam the soreness out. Crank up the heat and gently place a warm, moist towel on your face directly. Dose of anti-inflammatory medicine like Advil or Aleve. If these things won’t help you and you are suffering a lot, then you need some medical attention from a physician who can treat you with this situation and make your health better within two days. Firstly, he will find out the exact cause of your sore throat and then prescribed you the medication. In any case, your sneezing problem is the cause of seasonal flu, then he may give you the Flu Shot to get out of this. Astra Health Center, an immediate medical service provider has all the treatments of your health issues. For sore throat in flu season, they have the treatment available in Jersey City which will cover the symptoms by giving the Flu shot. If your sore throat is making your condition worse, we are there to help! Helpful Tips To Reduce The Risk Of Kidney Stones! An individual with kidney disease should obtain the treatment as soon as possible to experience high quality care for the rest of the life. There comes a point when many of the people develop a kidney stone in their lives. And, if you are the one who is suffering from this condition, then you should move forward to reduce the risk of kidney stones. Drink as much as the water you can. This will help dilute your urine. Avoid the activities, hot tubs and overexposure to saunas that endorse excessive seating in your body. Prefer to have food, enrich with calcium foods to boost the chances of bonding in the stomach instead of the kidneys. Once the stone has developed in your body, the risk of developing stones gets increased for the second time. Do not let this happen again! Depending on your past experience of stone, consult the doctor of Urgent Care center and try to follow changed diet plan. What are the changes required in the diet plan? Have a look! Where To Seek The Treatment? 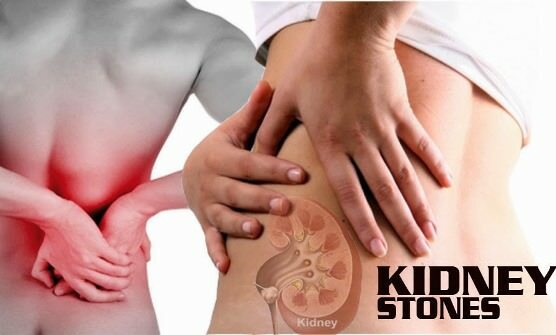 The pain of kidney stones is extremely painful. If you ever fall into this situation, don’t get panic! Just think Astrahealth Center, which is known as remarkable Urgent Care In South Bound Brook. Make a visit and get the medication from the physician to reduce the pain associated with passing your stone.